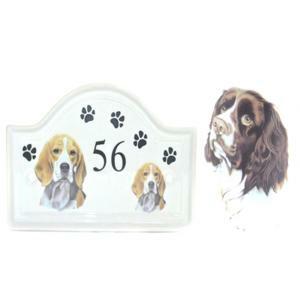 Ceramic Springer Spaniel house number plaque. 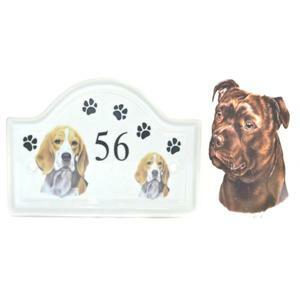 This plaque has been hand decorated in our own factory in the heart of the Potteries, Staffordshire, England. 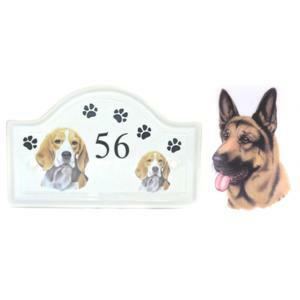 The plaque features a large and small image and is finished with paw prints and your house number. 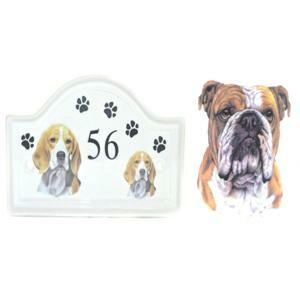 The house plaque is weather proof and very durable. It is already drilled but please note that screws are not included. 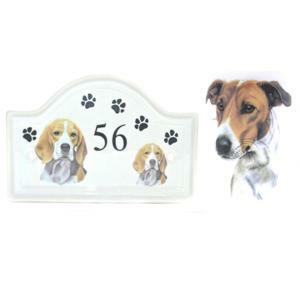 Please contact us with your house number when you purchase the plaque.